Just back from a “flying” visit to the CIEP (actually travelled by Eurostar!) where I was a speaker and workshop facilitator yesterday at Forlang. It was an impressive venue as the CIEP occupies an imposing eighteenth century building (it formerly housed the Royal Sèvres porcelain factory). It was a pleasure meeting and working with teacher trainers from across Europe. Thank you for letting me work you so hard, especially after our two hour lunch break! I think we had a very profitable session with a good exchange of ideas and views. The Thinking skills strategies slides – The resources for the “mystery” thinking skills activity Ben and Sophie go on holiday can be found on this website (under Year 9). A “mystery” is one of many thinking skills strategies that are described in this PDF from the Northern Ireland curriculum website. This website is also listed in my own personal bibliography for the seminar. Anyone of a certain generation will instantly recognise the words in the image (left) from the dictation exercise. This was how listening skills and, to a greater or lesser degree, grammar and spelling were taught, practised and tested in the days before course books came with recordings on cassette tape or CD. For those of us who were good at this sort of thing it became a game for example, to spot the agreements with the preceding direct object in French (and other such traps designed to catch you out) but for those with weak spelling and an insecure knowledge of grammar I suspect it was a dull, dry exercise which further reinforced a sense a failure. At some of my workshops there has been a look of horror on the faces of a number of delegates if I announce that we are going to do a little dictation exercise, so even those who have ended up making languages their business have been mentally scarred for life! I was surprised to discover in the course of doing some research for this post that until comparatively recently the dictation as a test was part of the Edexcel GCE French O level test available to international centres, and although I would in no way wish to revive it as a testing method it does have some merits which are perhaps worth re-examining. When I first started to learn Chinese about 5 years ago I soon realised that if I was going to make any progress at all I would have to do a lot of listening to get my ear tuned into the different tones so I started listening to Chinesepod. As I hadn’t paid to subscribe to the site I didn’t have access to the PDF transcripts, and so I treated the dialogues in the podcasts essentially as a dictation exercise. I used to transcribe what I heard in Pinyin and I then used my dictionary (Oxford beginner’s) to look up and write down the characters; in effect I was creating my own transcript. I later discovered that with the early versions of Chinesepod that it was possible to access a transcript (in both pinyin and characters) by clicking on the Show lyrics tab for podcasts downloaded into Itunes; I could then check whether I had “got it right”. Subsequently these transcripts accompanying the Itunes downloads only showed characters, but with some cutting and pasting into an online dictionary it is still possible to create your own transcript in pinyin. In the course of the podcast the hosts would go through the meaning of each individual word/character so I could be reasonably confident that that I had chosen the correct character. What this exercise made me do, and one of the great merits of dictation, was to listen very attentively, to focus on the sound spelling link of the language, and even more importantly in Chinese, the tone. It fits in very well with self and peer assessment . Pupils self or peer assess and set their own targets for improvement (PLTS – reflective learners); for example to do some additional listening practice in order to be able to discriminate between particular sounds. It can be a useful settling exercise in a large noisy class. It supports phonics work in focusing on the relationship between sound and spelling. It is flexible exercise which can be adapted to individual, pair and group work. Depending on how it is used it can lead to the creative use of language and interactive oral communication. In an excellent book I’ve recently dusted off the shelf, Dictation by Paul Davis and Mario Rinvolucri there are suggestions for “dictation” activities suitable for all ages and levels, and although the examples are in English the principles are easily adapted to any language. It’s worth checking out..
As a starter – to introduce new vocabulary or topic. At a simple level pupils can be given a wordle of vocabulary or text from a new topic area and they can work individually/ in pairs/groups to identify which words they know, which ones they can guess (cognates) and which ones they need to use dictionary skills to work out. At advanced level learners can be give a wordle of a text which they use as a starting point for a discussion trying to predict the context. To apply their knowledge about language to categorise the words in the wordle. e.g. nouns/verbs/adjectives or to classify nouns by gender. As a plenary/tool for AfL – e.g. 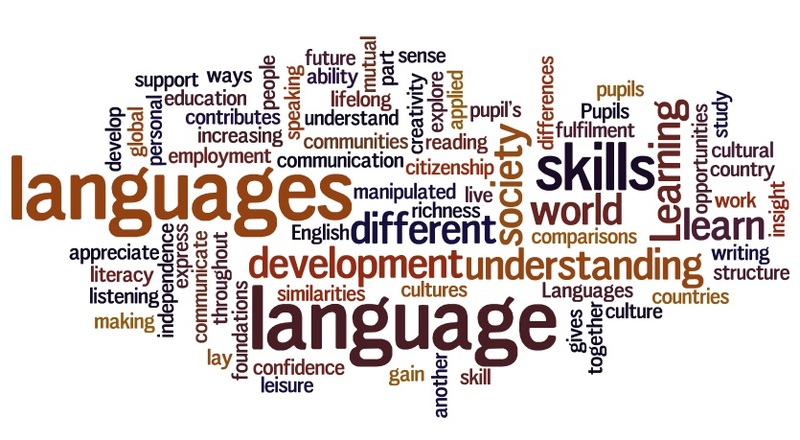 a wordle created of TL and English words which pupils have to match up or a wordle in the TL in which they demonstrate their knowledge about language or phonics or their ability to use language creatively. To demonstrate understanding of phonics by classifying words by their phonemes/letter strings. As a revision aid – a summary of a particular topic or context or as an aide-memoire. To help pupils develop presentation and spontaneous speaking skills. To show the results of a class survey or poll or as a display. To promote creativity – pupils are challenged to create sentences/stories etc from words on a wordle. As a tool in a listening exercise – pupils cross out the words they can identify in a spoken text. To encourage self reflection (PLTS – reflective learners) and to improve written work – the frequency count in a wordle will highlight words that can get over used e.g. 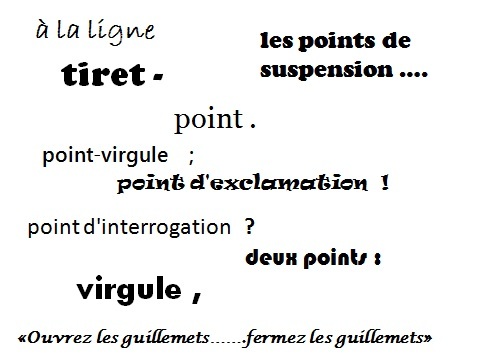 “intéressant” or “lustig”. A wordle can also make it easier for pupils to spot their own mistakes (e.g. in the incorrect use of accents) as it breaks up the normal order of words, thus making it less likely that they will simply gloss over their mistakes. View more presentations from lizfotheringham. You are currently browsing the archives for the AfL category.